Photosynthesis leaves behind a unique calling card, a chemical signature that is spelled out with stable oxygen isotopes, according to a new study in Science. The findings suggest that similar isotopic signatures could exist for many biological processes, including some that are difficult to observe with current tools. "We've found a new type of biosignature," said co-lead author Laurence Yeung, an assistant professor of Earth science at Rice University. 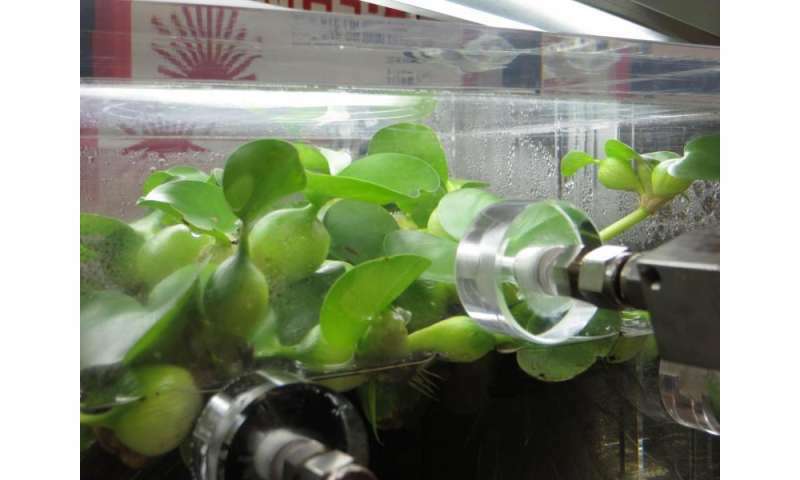 "We show that plants and plankton impart this type of biosignature on the oxygen they produce during photosynthesis." Yeung, who joined Rice in January, conducted the study with colleagues at the University of California, Los Angeles. Isotopes are versions of an element that differ in their atomic weights. For example, most oxygen atoms contain eight protons and eight neutrons and are represented by the symbol O-16. More than 99.9 percent of Earth's oxygen is O-16, but two heavier oxygen isotopes exist in trace amounts: O-17, which contains one extra neutron, and O-18, which has two extra. Scientists know that plants and animals sometimes process heavy isotopes like O-17 and O-18 at a different pace than O-16. For instance, when sea temperatures decrease, corals and mollusks produce calcium carbonate—the raw material of ocean reefs and clam shells—that contains greater amounts of heavy oxygen isotopes. As a result, scientists have used isotopic ratios from carbonate fossils to estimate global temperatures in the distant past. Most atmospheric oxygen exists as O2, stable molecules that each contain two oxygen atoms. Because O-16 is so common, the vast majority of O2 molecules have an atomic weight of 32. Even in cases where a heavy isotope is paired with O-16, the atomic weight of O2 is never greater than 34. In the new study, Yeung and his UCLA colleagues examined "clumped" oxygen isotopes, O2 molecules that contain two heavy isotopes. Such molecules, which have masses of 35 and 36, are exceptionally rare; less than a handful exist in every trillion O2 molecules. But today's mass spectrometers are sophisticated enough to tally them and allow scientists the opportunity to compare their relative abundance in various circumstances. 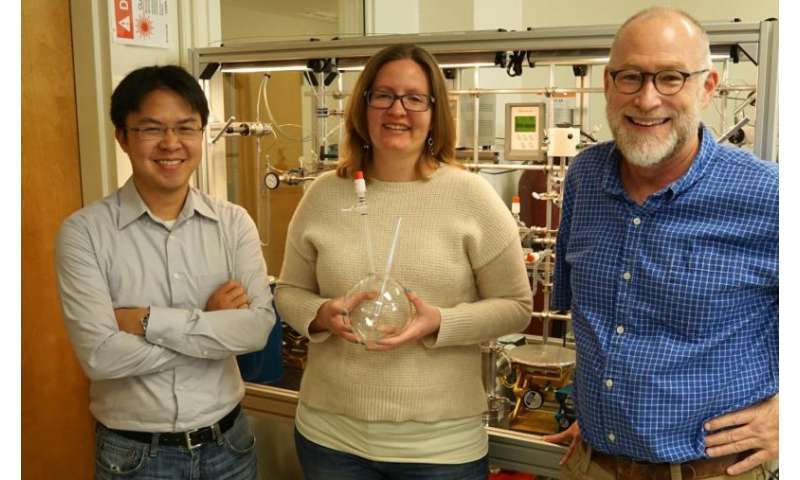 "By measuring the proportion of O2 molecules with masses of 36 and 35, and comparing those with the proportions that should exist simply by chance, we can determine isotopic signatures of specific chemical reactions," Yeung said. He said his research involves equal parts oceanography, atmospheric chemistry and quantum dynamics. But it is the study of the quantum behavior of atoms that is key to understanding how heavy isotopic oxygen molecules can be used as a proxy for processes like photosynthesis. "One of the things plants do during photosynthesis is form O2," he said. "They do this at the end of a five-step process that breaks apart water molecules and ends with the formation of an O2 molecule. We found that this process produced fewer clumped pairs than would be predicted by random chance. We argue that this reflects the isotopic preferences of plants during one of the earlier steps in the process." Yeung said one example of how the isotopic signature could be used is to assess the health of oceans. Photosynthesis by microscopic plants forms the base of the oceanic food chain, but it is difficult to measure how productive these plants are in natural settings. Yeung said he and his collaborators are examining whether it is possible to measure productivity in the open ocean based upon an isotopic analysis of O2 dissolved in surface seawater. "Looking at oxygen through the lens of clumped isotopes will give us a lot of new information about how oxygen is made and consumed by plants," said study co-lead author Jeanine Ash, a graduate student at UCLA. "I'm very excited about what this approach holds for the future. There are so many other gases that the biosphere utilizes. This is only the beginning."